Ross graduated from Herts University in 2018 having been awarded a 2:1 in BA (Hons) Film and Television Production. Having gained hands on experience in the film industry working in multiple different roles such as director, cinematographer, editor, lighting and sound and was given the chance to create multiple short films. Ross is passionate and enthusiastic about film and love the opportunity to show my creative eye when working with clients. Ross is familiar with a number of different edit and design software, ranging from adobe illustrator, Photoshop, InDesign and After Effects. He is also proficient in Post production film editing software such as Final Cut, Premier Pro and Avid Media Composer as well as being fully experienced in using the Microsoft office applications. 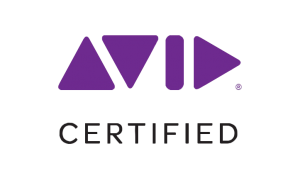 Ross is Avid Certified and is proud to be able to display their logo. Instinct Films has a wide range of additional support/resources available to us. We are therefore able to take on multiple concurrent projects ensuring quality and delivery is always maintained.